Amitis can be accessed by following the route from Hora to Eggares & Galini villages. The beach is a small cove, quiet and isolated at most times. Though next to Hora -about 10km- there are no umbrellas or sunbeds and its visitors are mostly seeking for a tranquil swim. 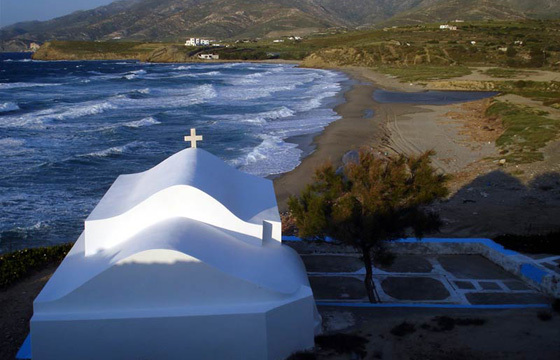 There are only few taverns and resorts in the area and its unique attraction is the 17th century Monastery of Panagia Ipsilotera, on the way to the beach, that oversees the whole bay.